In any case, if you have any doubts about any product, you can get in touch with us at info@ceregumil.com or by calling us at 952338500 Ext. 1 (Monday to Friday from 9:00 a.m. to 2:00 p.m.) and we will clear them up. 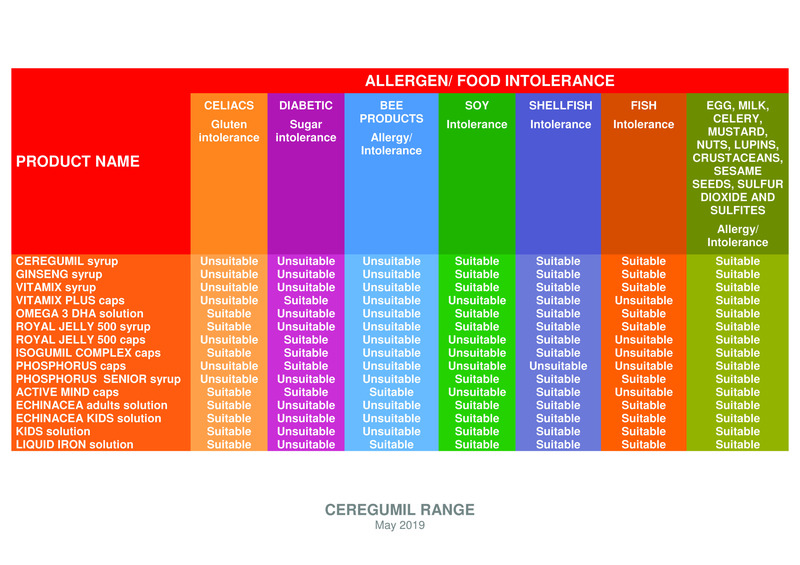 What allergens are there in Ceregumil products? What food Intolerance may they cause? In the next box you can find out allergens and food intolerance related with Ceregumil products.